Rob Gray, co-founder of strategic and creative consultancy Squad, asks whether the merger makes sense for two such different brands. 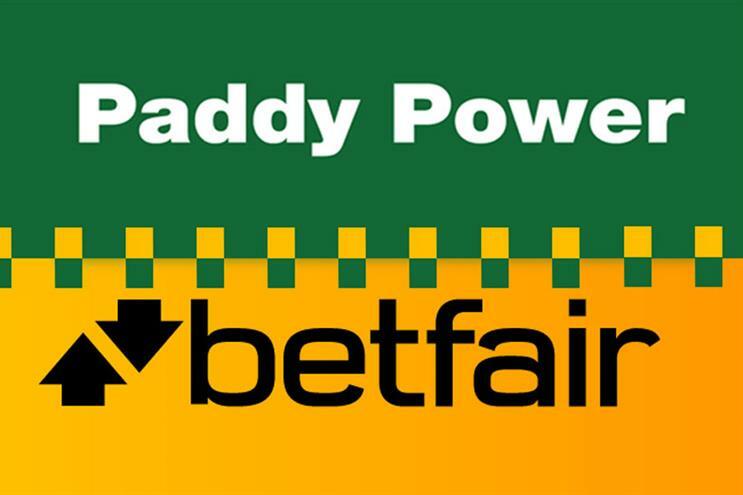 The coming together of Paddy Power and Betfair highlights the wider consolidation trend sweeping across the gambling industry, with Gala Coral and Ladbrokes already in the process of a merger and Bwin being chased by 888. The need to cut costs and expand both range and geographical footprint may well be driving this from a commercial point of view. Betfair was co-founded by Edward Wray, a former JP Morgan trader, and Andrew Black, who observed the similarities between trading on shares and horses. They pioneered the concept of exchange betting, allowing customers to bet against each other. Although they introduced fixed odds in 2013, the brand has continued to appeal to betting enthusiasts with a more serious approach. Paddy Power has shot to prominence on the back of irreverent marketing, which frequently pushes the boundaries of decency. Everything is fair game for mischief; in typical Paddy Power-style, for this year’s advertising review, the company asked the pitching ad execs to change their names by deed poll to former residents of the Tower of London. This approach has been phenomenally successful at appealing to laddy humour and the more casual gambler. Both parties say the brands will stay separate - so hold fire on Betty Power or Paddy Fair for the meantime. This makes sense as it would be challenging, both in terms of positioning and target market, to make a combined entity work. But mergers are about creating synergies; bringing two things together to create something that’s stronger than the sum of the parts. There are areas where such benefits can be realised. Technology is a huge part of a modern gambling business and the ability to share digital platforms is one such example. The combined business will have a stronger footing in both the US and Australia. There will presumably be savings to be had in back office functions also. But the firepower of a combined marketing budget has also been highlighted as a benefit by Andy McCue, CEO of Paddy Power, in The Times. So how much can these two brands really share from a brand and marketing point of view? If each brand has a separate positioning and target market, then how much cross over is there in terms of marketing strategies, media buying, product development, promotional calendars and customer research? If you start to share staff, internal cultures and stores then at what point does this damage the uniqueness of each brand’s customer experience? Portfolio brand companies like Unilever achieve this all the time, but rarely in these instances is the DNA of the brand so deeply ingrained within the business. Clearly the two companies feel there’s enough they can share to realise benefits. The challenge will be not diluting the strength of two such distinct brands in the process.